Of all the genres out there in the wonderful world of video games, very few games showcase the heart and soul of their creators quite like the point-and-click adventure. Perhaps it’s the slower pace or the need for memorable characters and an engrossing story, but everything from background art to dialogue becomes a canvas on which a developer can really showcase the personality that makes the game distinctly theirs. 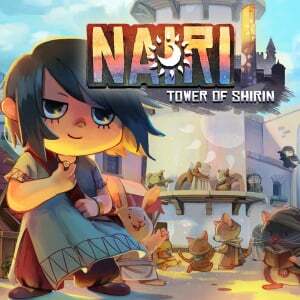 NAIRI: Tower of Shirin – the latest addition to the growing number of titles representing this still very niche genre on Nintendo Switch – is a perfect example. From the tense moments of its opening to the humorous interactions and eye-opening revelations that are woven through its story, this plucky indie offering never stops excitedly trying to show you another beautiful piece of hand-painted art, a clever puzzle design or a pithy line of dialogue. Even with its faults, you’re almost always going to be charmed by its childlike enthusiasm. 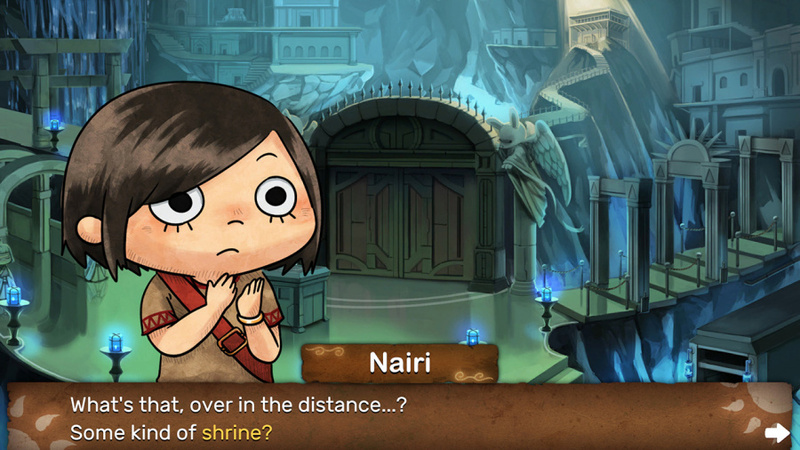 The story, alongside the puzzles, is the core of any adventure game, and NAIRI’s is full of surprises. It starts out innocently enough, with the titular Nairi finding her life among the city of Shirin’s elite suddenly turned on its head as she flees an attack on her family. Thrown into a world of bandits, conspiracies and forgotten civilisations, the once detached young girl slowly grows into a confident heroine determined to solve the mystery behind the Tower of Shirin once and for all. It’s a plot that keeps changing its stripes the further you progress, morphing from coming of age story to fantastical mystery and beyond. 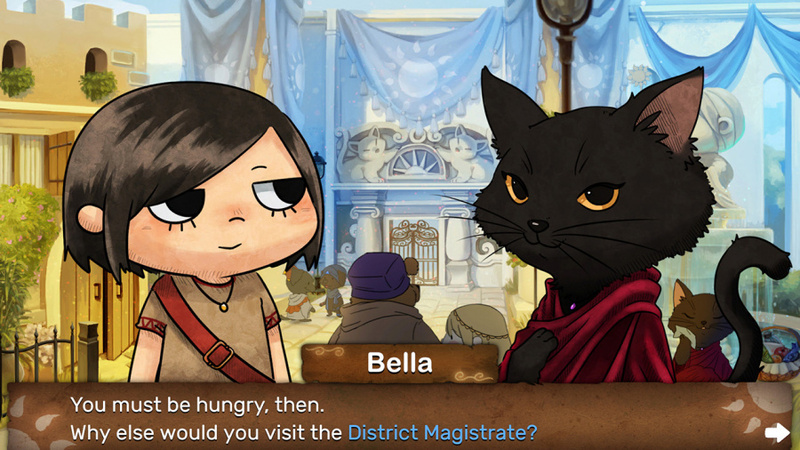 Talking of puzzles, NAIRI never strays too far from the formula that’s served the likes of Broken Sword and Grim Fandango Remastered before it. You’ll collect items as you explore different areas, which can be combined to complete quests or solve certain riddles. The sheer variety of puzzles to solve – ranging from pressing a series of buttons in a single room to conundrums with multiple parts that span myriad rooms – means you’ll find plenty of brainteasers to break up the non-voiced-over dialogue and animated cutscenes. Some of these puzzles can get a little obtuse, especially towards the end of the game, but they’re nowhere near as frustrating as some of Riven or King’s Quest’s toughest head-scratchers. 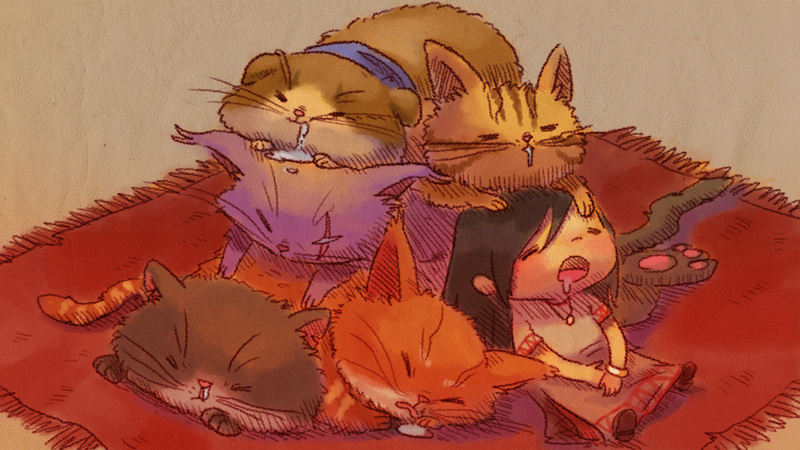 Talking of animation, one of NAIRI’s biggest selling points is its quaint art style. Rather than using rendered assets, every single frame is hand-painted to create a storybook quality with a colour palette that really sells the dingy poor quarters or Shirin, the elitist rich district and the hidden world below. The simplistic approach to animation isn’t going to be everyone’s tastes, but there’s a lot to like about the game’s low-fi presentation, such as how characters fade from view when they leave a scene, or how cutscenes move from one static image to another like the turning the pages of a book. Considering the art style was also the work of one talented artist, it’s impossible to fault its aesthetic ambitions. The whole game has a consistently chill vibe about it, which even extends to the eclectic soundtrack that mixes together a variety of styles into one relaxing score. It suits the bedtime story style Home Bear Studio is going for with this whimsically little indie, and it makes for a low-intensity and relaxing experience overall. Some voice-over dialogue would have helped sell the broad cast of witty anthropomorphic characters, but this is an indie title built by a small team on a tiny budget, so it’s a concession we can live with. Home Bear Studio has also taken full advantage of Switch’s unique hardware traits and offered three ways to play. You can play with the analog sticks and face buttons on your Joy-Con or simply rely on the console’s touchscreen to fully interact with NAIRI’s world. Or, if you want to go one better, you can hark back to the good old days of the Wii and point your Joy-Con at your TV while in docked mode. There’s even the option for a left-handed version. It’s great to see a developer making an effort to really embrace Switch’s qualities, and being able to use your Joy-Con as a cursor on-screen turns NAIRI into an even more engrossing experience for younger players. There’s a good chance you’ve probably never heard of NAIRI: Tower of Shirin, but that doesn’t mean this hidden gem should pass you buy. Sure, it doesn’t have the pedigree of a Double Fine game or the licence exposure of something from TellTale’s back catalogue, but it still offers up a safe and engaging world full of quirky characters, challenging puzzles and all the screen-tapping backgrounds you could ask for. It’s no great reimagining of the genre, but it’s still a curio worth playing nonetheless. I thought it looked kinda interesting when it popped up on the eShop a while back. I'll add it to the watch list. This is definitely going on the wishlist now. Thanks for the review! Nice review. - I’ll be checking this out. I’m surprised you guys haven’t jumped on it. The game’s art is absolutely adorable and the story is really quite captivating.